The Politburo of the Communist Party of India (Marxist), which met in New Delhi on February 8-9, has listed three tasks ahead of the Lok Sabha elections 2019 and said the electoral tactics to achieve them. The tasks will be to defeat the BJP alliance, increase the strength of the CPI(M) and the Left in the Lok Sabha, and ensure formation of an alternative secular government at the Centre. In a statement, the Politburo said the tasks were decided after a discussion on the state-wise reports, adding that Central Committee meeting would be held on March 3-4 will finalise the details. The statement said the Politburo saluted the people of Kerala and West Bengal for the manner in which they responded to the calls given by the CPI(M) and Left parties on different issues. The statement said the CPI(M) rank and file would continue to resist the “fascistic attacks mounted by the BJP and its state government” in Tripura. Stating that the Modi government “undermined the capability of the air force and the authority of the Defence Ministry in its attempt to defend…the Rafale deal”, the Politbuo reiterated that a Joint Parliamentary Committee must be established to go into the matter. “The Modi government’s obdurate refusal to do so is tantamount to ‘admission of guilt’,” it said. The meeting also touched upon the unemployment issue and the National Sample Survey Organisation data on it. The Politburo said it called upon all its units and the Indian youth “to mount popular pressure through struggles against the Modi government’s policies that is depriving our youth the possibility of realizing their potential”. It demanded revocation of the NSA. saying the existing provisions of law would be “sufficient to deal with any such allegations”. 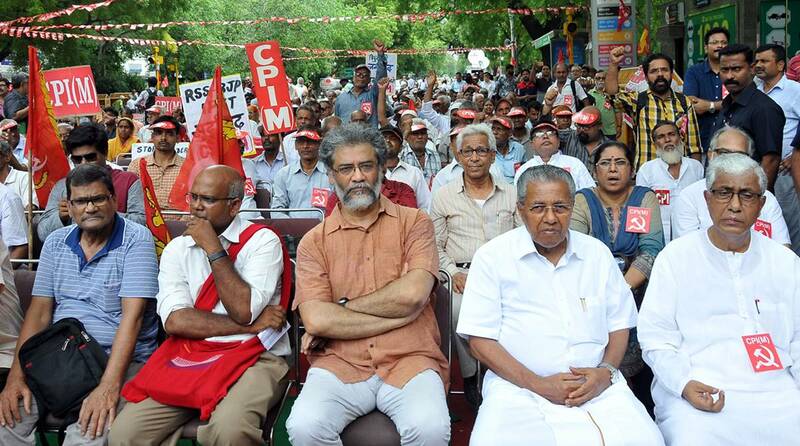 The CPM Politburo also expressed “serious concern” over what it called “severe onslaught mounted by the BJP government on public funded education at all levels, particularly on institutions of higher learning and research”. “Slashing of funds, undermining autonomy and principles of social justice, together with deepening communal orientation through the promotion of mythology as a substitute for objective scientific learning and history have become the order of the day,” said, adding that the party extended its support to the united protest march of teachers of all categories, students and non-teaching employees on February 19 in New Delhi.